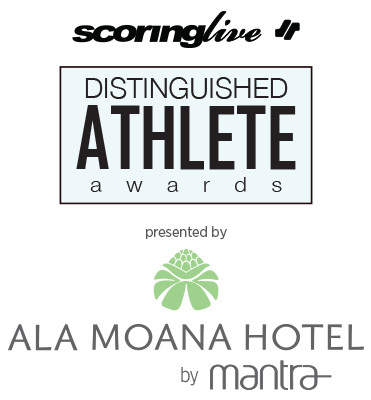 All Hawaii Players of the Year in Football, Basketball, Soccer, Volleyball, Baseball and Softball, along with the Newcomer Award winners are honored for their achievements. The culminating awards of the night are presented to a Distinguished Male and Female Athlete of the Year, selected as top overall in a single sport during the past year. ScoringLive staff, in conjunction with media statewide, select the winners out of three male and three female finalists.